And we return with more Doom Metal for you, this time from Brazil. 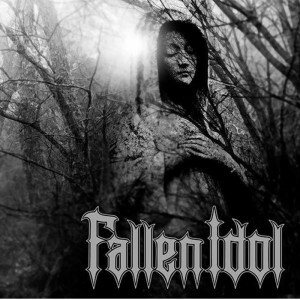 Unfortunately there is not too much information about the band… I’m talking about Fallen Idol and its self-titled full-length album that has been just released, in January, 2015. As I didn’t know anything about this band, I hadn’t heard any material or even an excerpt of a Fallen Idol song, I didn’t know what to expect. And I’ve been pleasantly surprised. 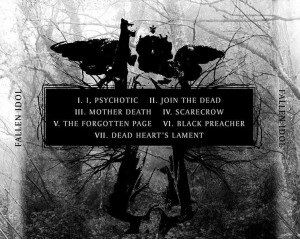 What the band presents us is a very qualitative mix of traditional Doom Metal with elements of Heavy and Stoner Metal. Grandiose and epic, Fallen Idol surely was influenced by many of the classic gems of the genre, but they decided to create their own path, their own sound. You also can clearly sense that these are very talented musicians. While I type this, I’m listening to the album again and I have to say that it just gets better and better. There are many eerie, dark, melancholic and desolate parts, like a prime Doom Metal release should present, but what’s also interesting here is the change of pace, it never gets boring or stale, showing the band’s creativity and also, making it able to reach a broader audience. All in all, I feel that Fallen Idol has granted us with a refined and imaginative work. When it comes to the album’s production, first of all, we have to remember that this is an independent effort. Having that in mind, in my humble opinion, the production is much more than satisfactory, it’s actually very good, you can only here a few minor technical recording problems, but nothing that will cause any harm to your listening experience. On the whole, another fine aspect of this Brazilian release that has excellently amazed me, I should add one more time. I finish my thoughts on Fallen Idol by asking you all to, please, check their material on the official Bandcamp link shared here and urging that if you like the material, please, support this band, let’s keep the independent bands alive. Share their links, any reviews you found, anything in order to help promoting and supporting them.